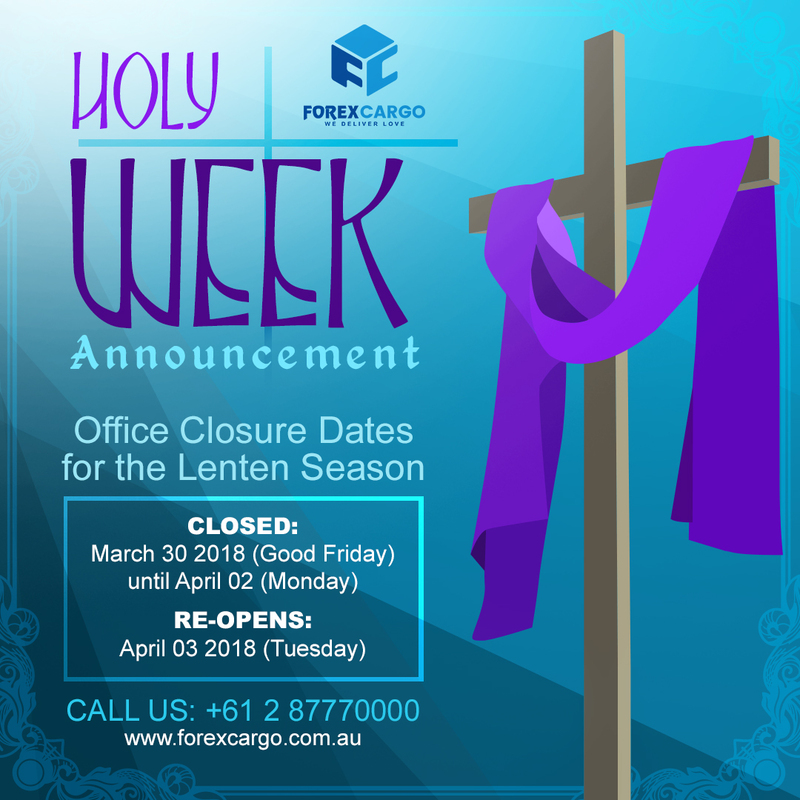 Please be advised that Forex Cargo Australia will be closed from Friday, March 30, 2018 until Monday, April 2, 2018. Regular operations will resume on Tuesday, April 3, 2018. Please be guided accordingly. Should you have any concerns please contact us at +61 2 87770000 or email us at info@forexcargo.com.au. Service Announcement, delay with Cargo shipment. Changes in Forex Cargo Sea freight loading and Shipping Schedule.